I am so ready for summer and warm weather! As I live in Southern California, that might seem like a strange statement, but we have seasons too, just not as drastic as other parts of the country. Dinner and drinks, outside if possible, is something we always look forward to. My sister is a type one diabetic so we are always searching for low sugar/carb recipes that won’t cause her insulin to skyrocket. 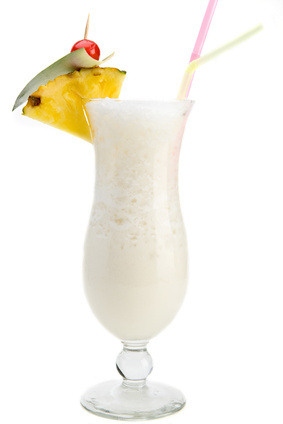 A favorite of ours is a Pina Colada (it just tastes like summer) but the typical Pina Colada is not an option for her as it is loaded with sugar and can have anywhere from 500 to 750 calories and is an insulin nightmare. As I always seem be to counting calories, we’ve discovered this low calorie version we can both enjoy with only 235 calories and 2 grams of carbs. Put ingredients in blender and blend until slushy. You can also put all ingredients in a cocktail shaker, shake, and strain out the ice for a non-frozen version. 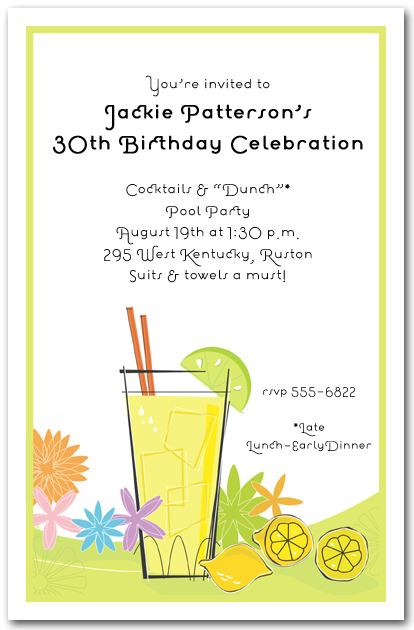 There are lots of mint julep recipes – original mint juleps, quick mint juleps and really quick mint juleps. This Ginger Mint Julep falls into the really quick category. In a classic mint julep cup or an old-fashioned glass, combine 1 teaspoon water and 1 teaspoon of sugar. Add several thin slices of fresh peeled ginger and several sprigs of mint. Muddle with a muddler or wooden spoon. You could also add ginger to the original mint julep recipe. Enjoy! 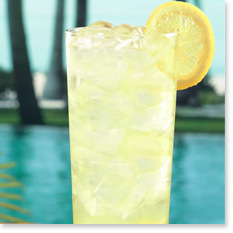 I discovered a great new cocktail at Tommy Bahama’s Restaurant – A Citrus Ginger Fizz. Mix rum, ginger liquer, Cointreau and sour mix over ice. 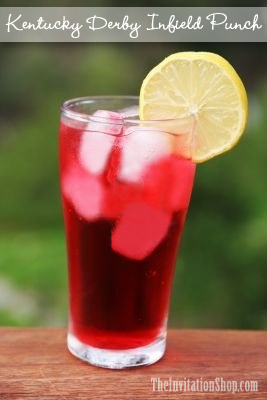 Top with lemon-lime soda. Garnish with a lemon wheel (twist). What drinks will you serve your Kentucky Derby party guests? 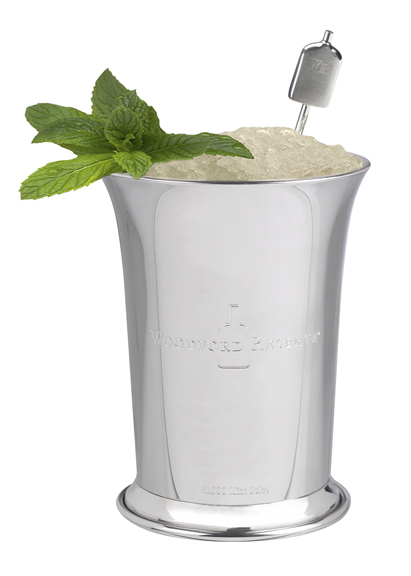 The Mint Julep is the official drink of the Kentucky Derby but if you’re not a fan of bourbon, why not try “Infield Punch” instead. 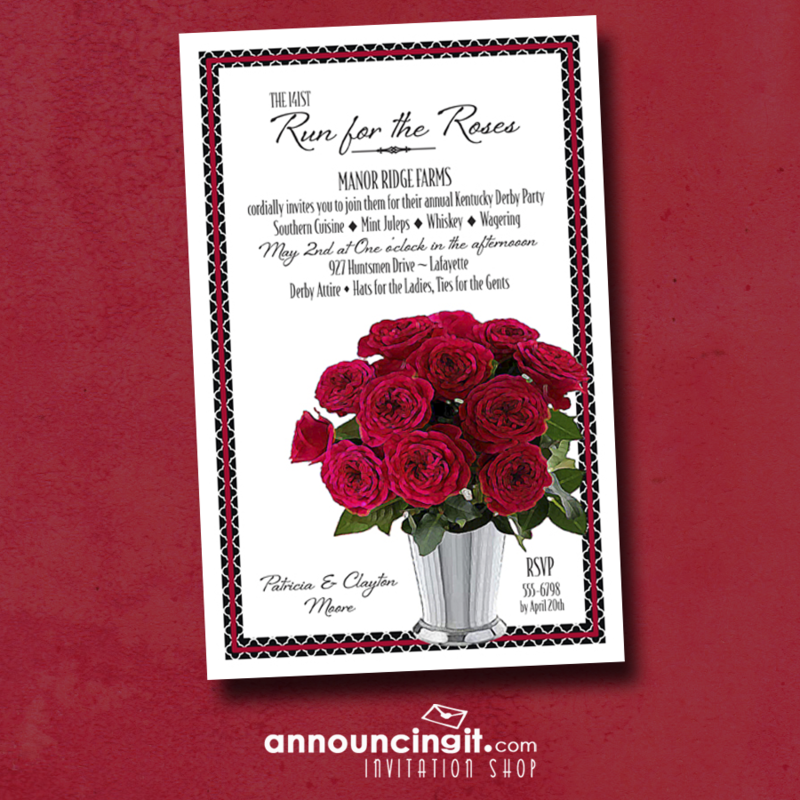 It’s red color will match a “Run for the Roses” party theme and it is easy to serve a crowd from a punch bowl or a pitcher. 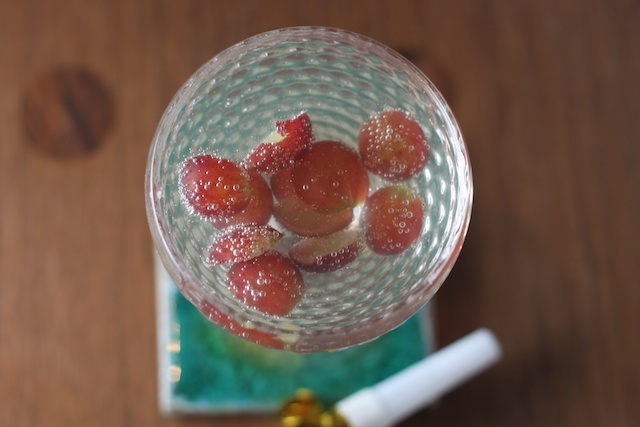 This beautiful Coconut and Champagne cocktail is an unlikely combination of coconut water, grapes, vodka and champagne. If you’re not familiar with coconut water, it will be a refreshing find you’ll enjoy. Combine the vodka and coconut water in cocktail shaker with ice and shake to combine, pour into a tall glass or champagne glass, add grapes and top with champagne. Adapted from the “Red Grape and Coconut Refresher” recipe from Food and Wine found here. Want a cool, refreshing drink without the alcohol? Try serving CranRaspberry Martinis at your next get together. Pour Cranberry juice and sparkling water into martini glasses. In a shaker, add crushed raspberries, lime juice and ice and shake until blended. Strain this mixture into the glasses, stir and garnish with one or two whole raspberries. You can also wet the rim of your glasses with lime juice and dip into sugar poured onto a shallow plate. Cosmopolitans are a great drink for a bachelorette party, a lady’s birthday party, hey, who needs a reason? They’re fun, they’re festive, and they’re pink! Unfortunately, they are loaded with sugar, typically 4 teaspoons in each drink. Here’s a low sugar/low cal recipe that tastes just like the high calorie version. Put all ingredients in a cocktail shaker half-full of ice and shake well. Taste for sweetness. If you are using unsweetened cranberry juice, you may need to add more sweetener. Strain into a Martini glass and garnish with a small lime wedge or curl of lime peel. 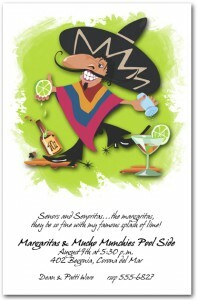 Did you know the average margarita packs a whopping 750 calories or more!?! 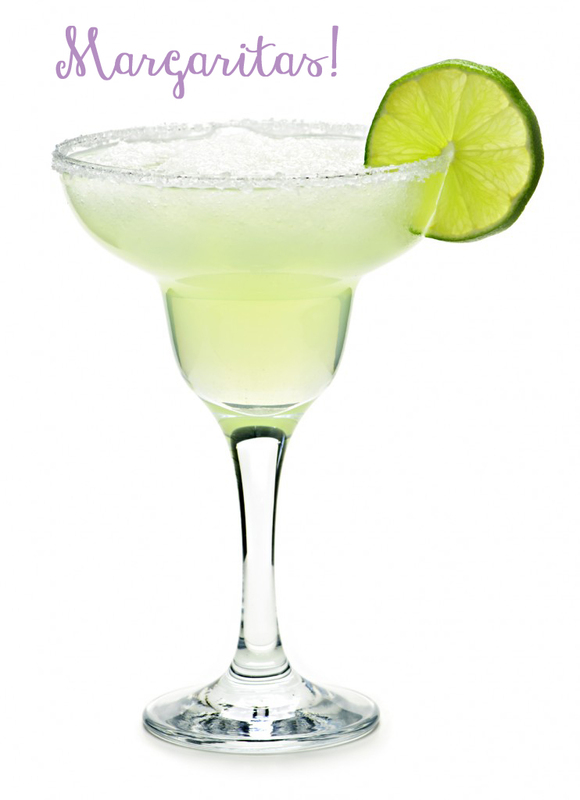 If you’re trying to save calories or need to watch your sugar intake, these low-cal margaritas are worth a try. In a 2-quart pitcher, mix water with the Crystal Light. Fill with enough crushed ice to make 1 quarts; stir and serve in salt-rimmed glasses. Garnish with a wedge of lime. Last weekend my sister and I were trying to come up with an afternoon cocktail recipe that felt like summer. I love mai tais and anything with rum, but rarely have the fruit juices on hand to make them. After looking through what I did have in the house, I remembered a recipe I hadn’t made in a long time – “Hard Lemonade” and thankfully, the only thing hard about it is the name. And yes, the beer is great in the lemonade, it makes it really smooth!